Sunlight readable transflective liquid crystal displays, used on devices from cell phones and portable media players, to GPS and even some desktop monitors, have become indispensable in our day-to-day lives. Transflective Liquid Crystal Displays is a methodical examination of this display technology, providing a useful reference to the fundamentals of the topic. 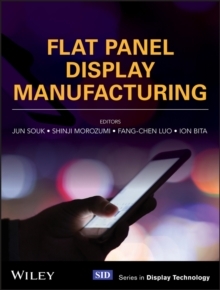 Including thorough descriptions of the essential physics of transflective LCD technologies, the book also compares transflective LCD technology with alternatives, such as OLED displays, to enable display engineers to appropriately select the correct device for their particular application. 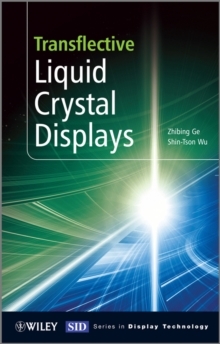 * Includes detailed descriptions of both pure transmissive and reflective LCDs, and the design considerations and performance of combining these into small mobile displays. * Focuses on fundamental elements, such as double cell gap transflective LCDs, wide-viewing angle technology, light polarization and wide-view linear and circular polarizers, video rate display by colour sequential technologies, colour sciences and engineering, and backlights. * Describes the latest LCD technologies, such as polymer-sustained surface alignment technology, and the possible trends which could be applied to transflective LCDs in the future. 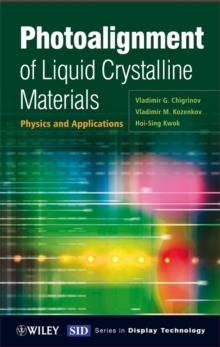 Its focus on the fundamentals of transflective liquid crystal displays makes this an ideal graduate text, while display engineers, scientists, developers and technicians working with this technology will also welcome this resource. The Society for Information Display (SID) is an international society, which has the aim of encouraging the development of all aspects of the field of information display. Complementary to the aims of the society, the Wiley-SID series is intended to explain the latest developments in information display technology at a professional level.